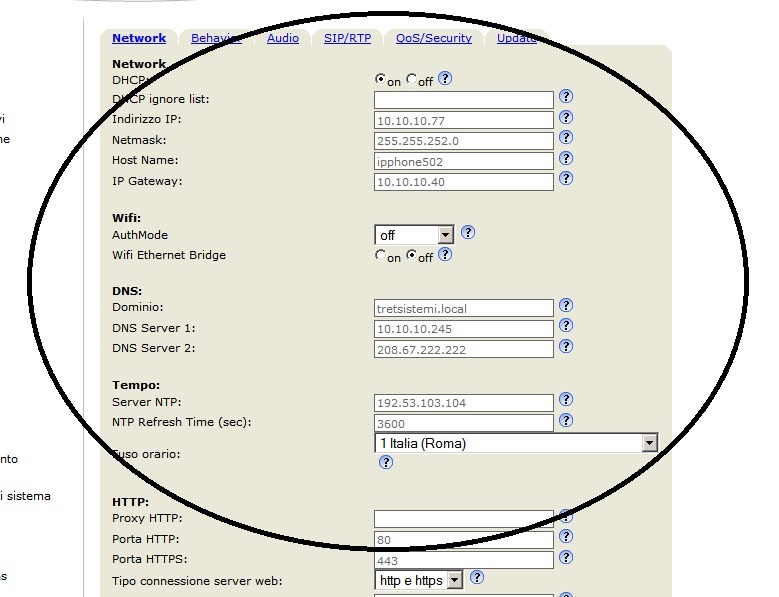 Starting with firmware version 8.4.27, all Snom firmware versions for Snom 370, 8xx and 7×0 include the ability to build secure VoIP-Infrastructures via OpenVPN-Technology: in this post I will show step-by-step how to configure a Snom 720 to connect to an Asterisk pbx installed on CentOs 5.2 (for the others Snom phone supporting OpnVpn the procedure is the same). The first step is to upgrade the firmware to the vey latest version. After this step it is mandatory to set Update Policy to Update automatically (in Advanced -> Update). Now we have to enable the VPN using Advanced -> QoS/Security and selecting on, then Save & Reboot. Now it is important verify all the configurations related the network and NTP (time server): all MUST be perfect ! Now on the server you have to install openvpn server and generate certificates for the clients. In the next some notes about this using the “distro” Pbx In a Flash. Now you have to edit /etc/openvpn/easy-rsa/2.0/vars, and the next fields. Open in iptables the port 1194/UDP that will be used from OpenVpn. Att. : You have to verify that iptables at the next reboot won’t delete this new rule. The server-side of Open-Vpn is installed ! We have to create client certificates. Now we have the openvpn server installed and 1 certificate to use with Snom Phone: you have to copy in a separate directory these files. Oss. : You can find all these files in /tc/openvpn/easy-rsa/keys. Att. : You should not change the name vpn.cnf and the path /openvpn/ inside the file. Att. : All the files must be in the same directory. Inside this directory you have to create the tar that contains all these files. The created file vpnclient.tar must be copied inside a directory that is accessible from http. I.e. if you use Pbx In A Flash you can use /var/www/html/vpnclient (you have to create the dir vpnclient. Now you have to return to the web interface of the Ip Phone. In Advanced -> QoS/Security now are visible the fields “Unzip VPN config tarball” and “Netcat Server”: you have to insert the http path to you file. After this you in the Snom in the field “Netcat Server” you have to insert the next. 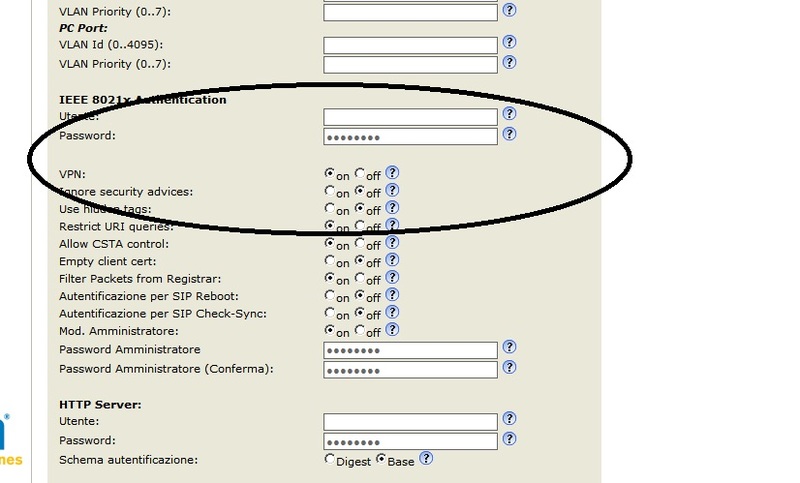 This entry was posted in Asterisk, Hardware, Voip and tagged Asterisk, Snom by Giampaolo Tucci. Bookmark the permalink.